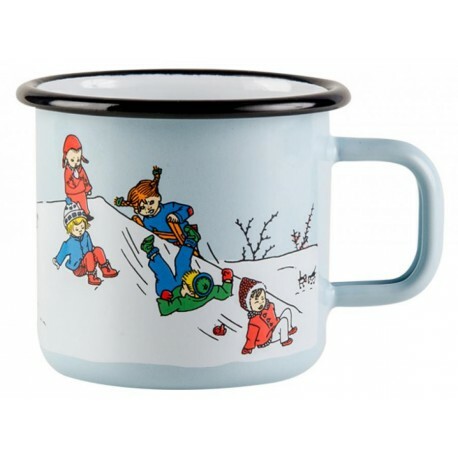 Wonderful Pippi Longstocking enamel mug is perfect for hot and cold drinks. Appearance of the product may vary due to the nature of handmade enamel production and therefore each item is unique. Enamel is a durable material but surface may chip if the product is subjected to a hard blow so please handle your quality item with care. Dishwasher safe, do not use in microwave.